The demand of computer keeps rising, and users need new solutions to safeguard data. Living in this digital world, people faces all kinds of challenges and risks which includes the problem of data security. Thus it is necessary to learn latest way to protect data and guarantee data security. Quite often, computer users find themselves trapped in the trouble that important files and folders are deleted by accident. Such problem can be very scary if they have little experience or knowledge about file recover or partition recovery. Numerous reasons can lead to data loss, and yet you can use data recovery software to retrieve lost files or hire experts to help recover data. Since powerful and easy-to-use data recovery software is available on the Internet, you don’t need to pay professionals. When selecting software for file recovery, you have to take factors in consideration like functionality, usability, cost and compatibility. Have you ever encountered such situation that hard drive fails suddenly and important files get lost? Data loss may happen due to hard drive overheating, sudden power off, abnormal system shut down, unintentional formatting, accidental deletion, bad sector, virus attack, file system failure, system corruption, and more. No matter which reason causes data loss, the point is files are gone and invisible now. There is no need to be anxious any more, for you can find easy and effective recovery software e.g. 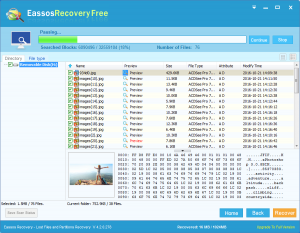 Eassos Recovery to rescue lost files and folders. Data recovery software can be the best tool for the recovery of lost data, which owns various merits comparing with paying recovery experts. 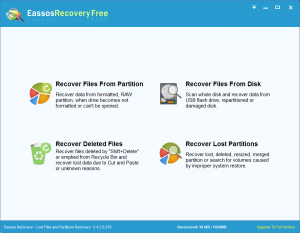 Time Saving: Eassos Recovery, one the most popular data recovery programs, allows to retrieve files within five steps. The whole recovery process is rapid and concise. Cost-efficient: either data recovery company or experts charge pretty high, which is not affordable for most of common users. By contrast, data recovery program is economically available and some are even for free. 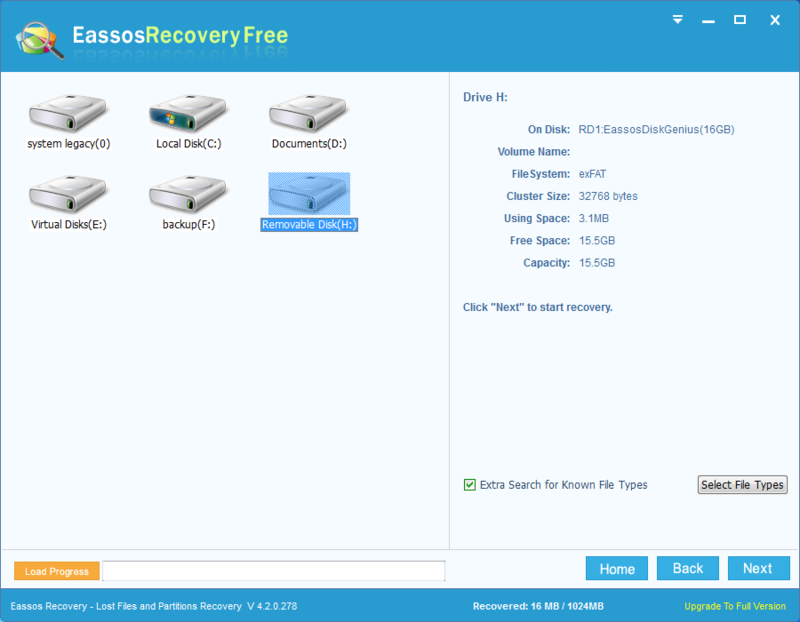 Feasibility: Eassos Recovery applies to all data loss problems caused by logical damage, and it supports a variety of storage devices including hard drive, SSD, external hard drive, USB flash drive, memory card, pen drive, virtual disk, etc. Online available: both home users and enterprise users can download or buy recovery programs and get tech support on line, which saves efforts. Lifetime use: most of recovery programs have no limitation on duration and number of time for the use of recovery program. Thus users only pay for the recovery for once and own the permanent use. 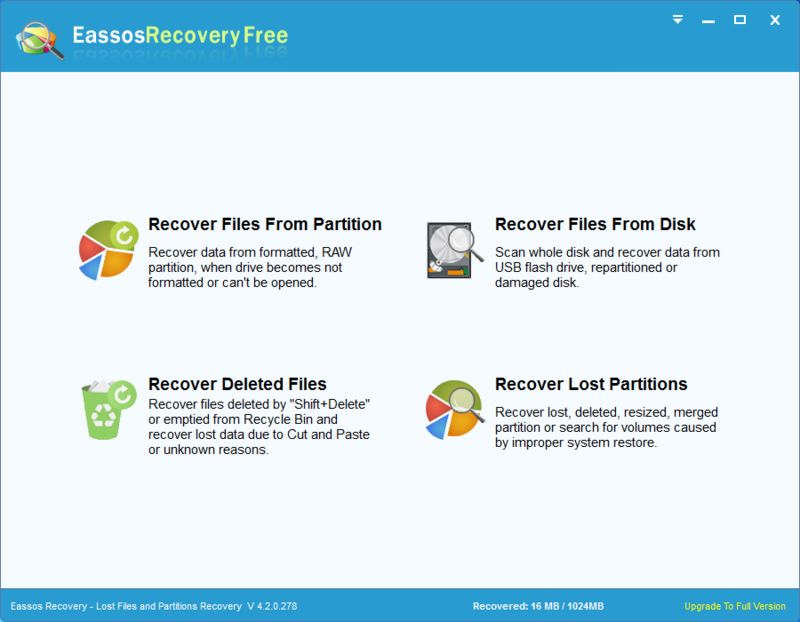 Eassos Recovery has user-friendly wizard interface and users can learn to use it in minutes. 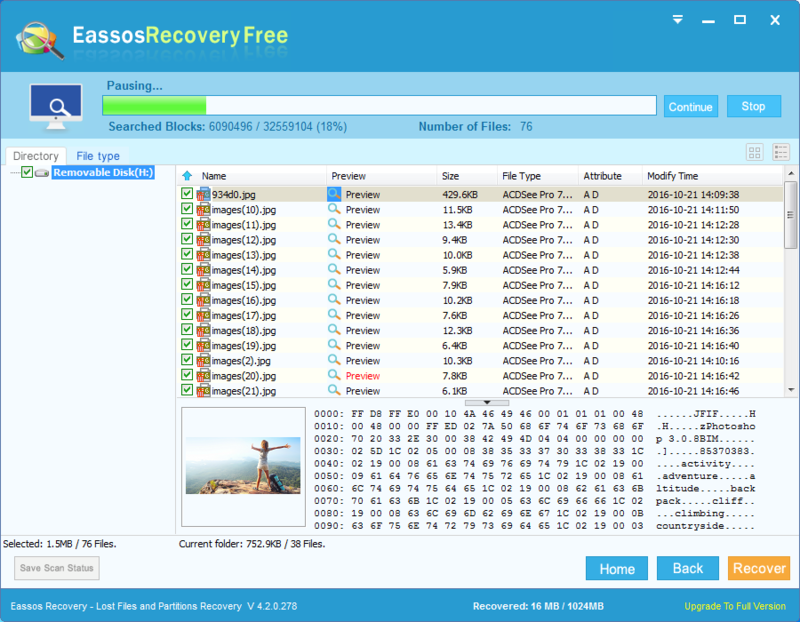 Thus it can be the most proper data recovery software for your data loss situation. 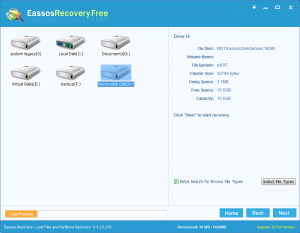 How to recover lost data using free data recovery software? Step 1: Connect the storage device to computer and launch hard drive recovery software from your computer. Step 2: Select correct recovery mode and choose the disk you want to recover, and then click “Next” button to search for lost data. Step 3: Preview and recover files. You can preview and filter files to locate what you want to recover and then copy them to a secure location. This entry was posted in Data Recovery and tagged data recovery software by EASSOS. Bookmark the permalink.